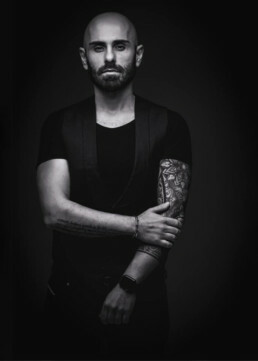 Ioannis Michalelis is one of the few influential professionals in Greece. He loves clean and natural looks and falls in love with every woman he works on. She inspires and motivate him to create a new masterpiece each time based on her features and personality. In his cozy beauty lab located at Akadimias 32, Kolonaki, him and his amazing team provider luxurious services: dimensional and natural looks which with the right hair style and clothes can make any woman feel like she stepped out of a magazine cover. His desire is to make every woman’s dream come true. He’s also known for the amazing restoration treatments he’s using for damaged hair and the remarkable hair color changes. He’s been working with several well known celebrities that trust him completely. But that doesn’t stop him from also be devoted to make the every day woman’s dreams reality. There’s been quite a few occasions that he’s traveled along side his clients so he could give them the glamorous look they desired on their most special days. Ioannis Michalelis went after his dream in 2001. A huge stop in his career was the Olympic Games in 2004. He worked as professional make up artist for Kryolan in the opening ceremony and for MAC in the closing one. One of his proudest moments was taking part in a workshop with Mario Dedvanovic who had Kim Kardashian as his model. At 24, Ioannis created his own company, establishing his brand which is one of the biggest parts of female beauty brands right now. His need to make himself better and take his skills to the next level was what made him travel and join a few of the best hair styling and make up workshops the last few years.